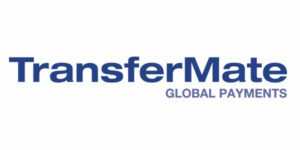 TransferMate Global Payments is the market-leading choice for international banks and businesses who seek a simple, cost-effective solution when sending and receiving foreign currency payments. With one of the world’s most extensive network of bank accounts, trading in over 154 countries, TransferMate secures better exchange rates, eradicates bank fees and provides clients with faster payment services. TransferMate’s superior B2B technology platform integrates with a range of enterprise software systems, including the world’s top cloud accounting platforms. This provides a faster, easier and more cost-effective payments solution to a demanding global client base. TransferMate partners with the world’s most prominent banks and is partly owned by ING Group N.V., one of Europe’s leading banks and AIB, an Irish pillar bank.